The temperature in Nestor Falls is a brisk -22°C/-7°F: not so bad! 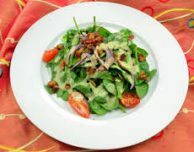 If the weather in your backyard has you wishing for a taste of summer, we received an excellent Walleye recipe from our friend Jane Johnston that hits the spot. Romano & Red Chili-Crusted Walleye should remind you that Nestor Falls outposts will open for fishing in just a few short months. Enjoy! Toss the Romano cheese and red chili flakes with bread crumbs. Dip walleye pieces into buttermilk and season with salt. 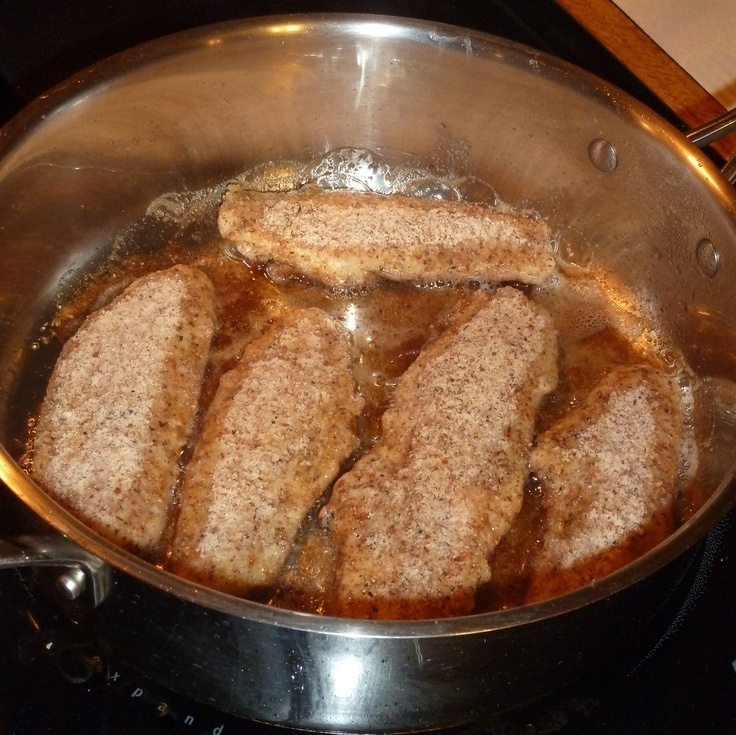 Coat fish with the breading and refrigerate until ready to use. Heat a 12-inch saute pan over medium flame and add the salad oil. When warm, place walleye face-down into the hot oil and cook until crisp. NOTE: The walleye will flake apart when done. 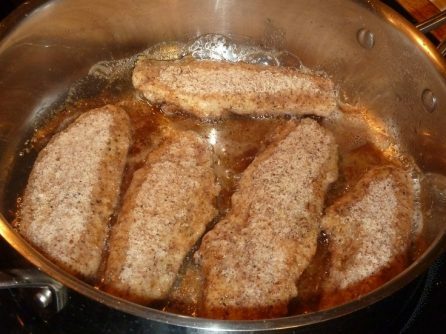 If the fish is thick, you may have to finish the walleye in oven at about 350°. 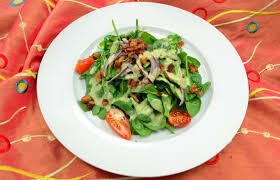 Place red onion rings and baby romaine on plates to form a salad. Crumble walleye on the salad, and drizzle with the Garlic Mayonnaise and balsamic vinegar. Garnish with basil and tomato.